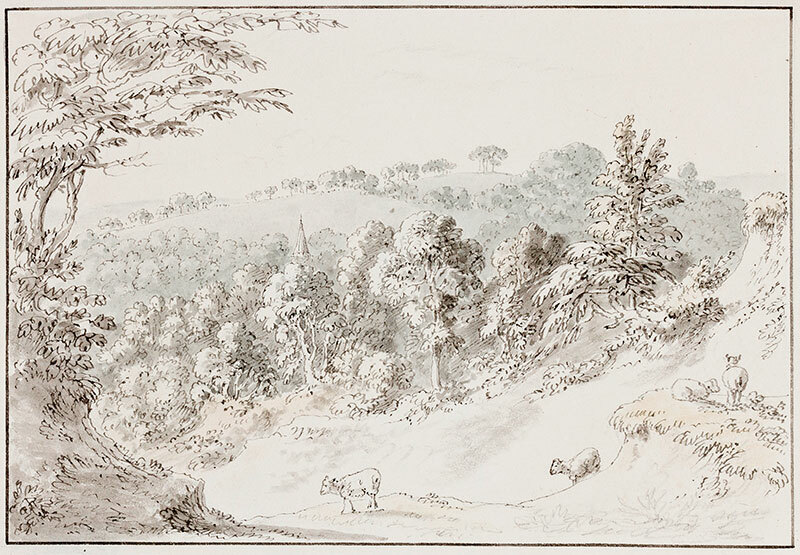 DEVIS Anthony (1729-1816) Wiltshire. ‘Mr Devis’ house at Albury’. Devis lived there from 1780. Ink and watercolour. Inscribed on the backing. Prov: John Trower and by descent. Exh: Michael Spratt. 5.5x8.25 inches. 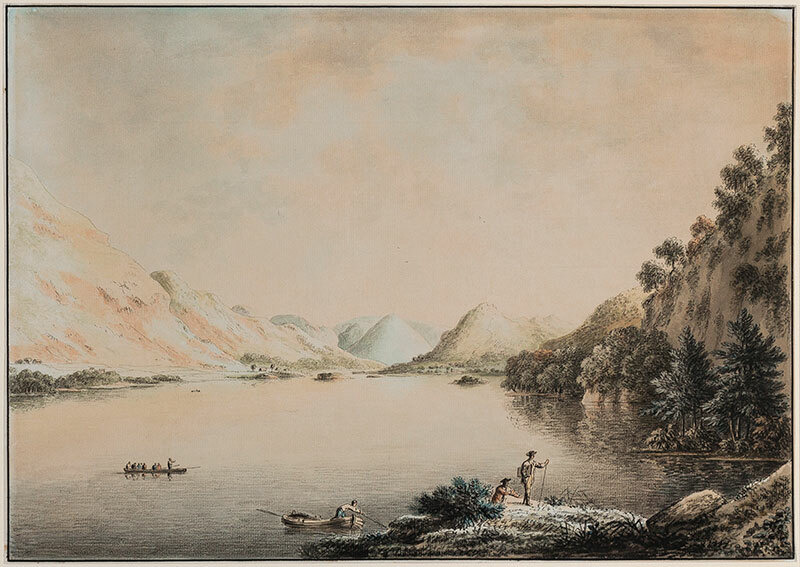 DEVIS Anthony (1729-1816) ‘Looking over Derwent Water to the Vale of Newland’ (sic). Ink and watercolour. Inscribed by the artist. Prov: John Trower and by descent. Exh: Spink. 10x15 inches. Framed: 19x24 inches. 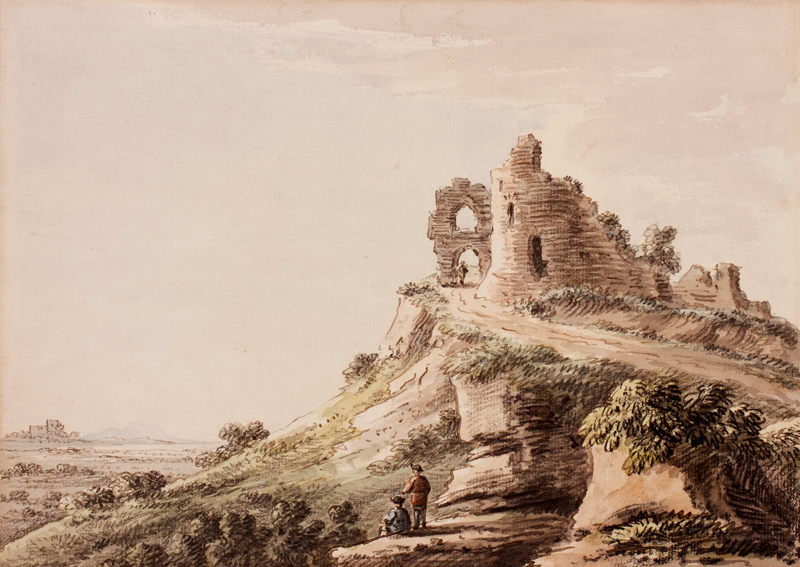 DEVIS Anthony (1729-1816) Goodrich Castle above the Wye. Ink and watercolour. 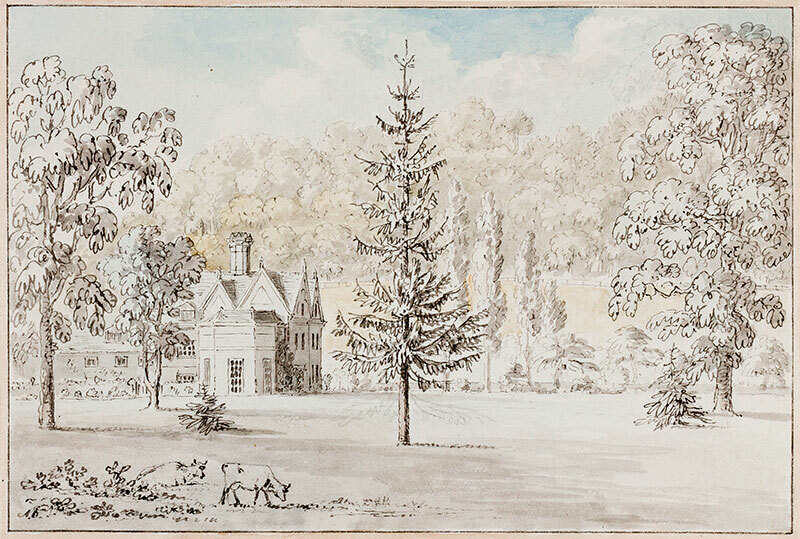 Prov: the artist’s patron John Trower (1755 -1840) of Muntham Place, Sussex and by descent. 10x15 inches. Framed: 18x22 inches. DEVIS Anthony (1729-1816) Surrey. 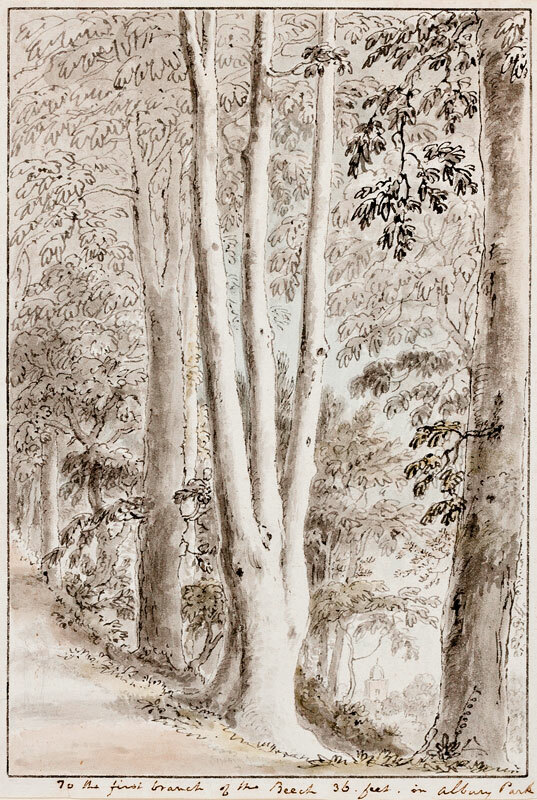 Albury ‘Near Nash’s field’. Ink and watercolour. Inscribed on the backing by the artist. Prov: John Trower and by descent. 5.25x8 inches. 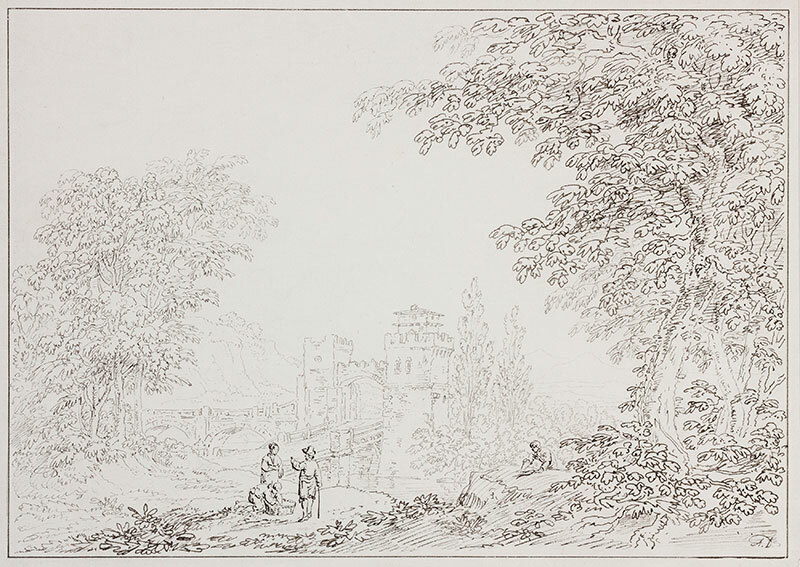 DEVIS Anthony (1729-1816) Landscape and bridge. Pen and ink. Signed. 12x17 inches. 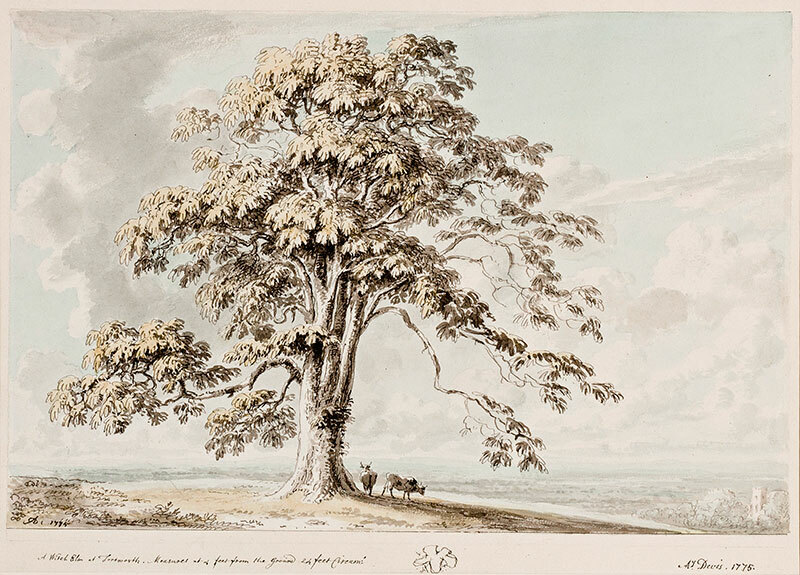 DEVIS Anthony (1729-1816) Gloucestershire: ‘A Witch Elm at Tortworth, measures at 4 feet from the ground 24 feet Circum:’. Pencil, ink and watercolour. Signed, inscribed and dated, 1775. Ex. Coll: Bradfer-Lawrence. Exh: Agnews, 1977. Lit: ‘The Devis Family of Painters’, p.92. 1950. 10x15 inches. Framed: 18.5x22.5 inches. 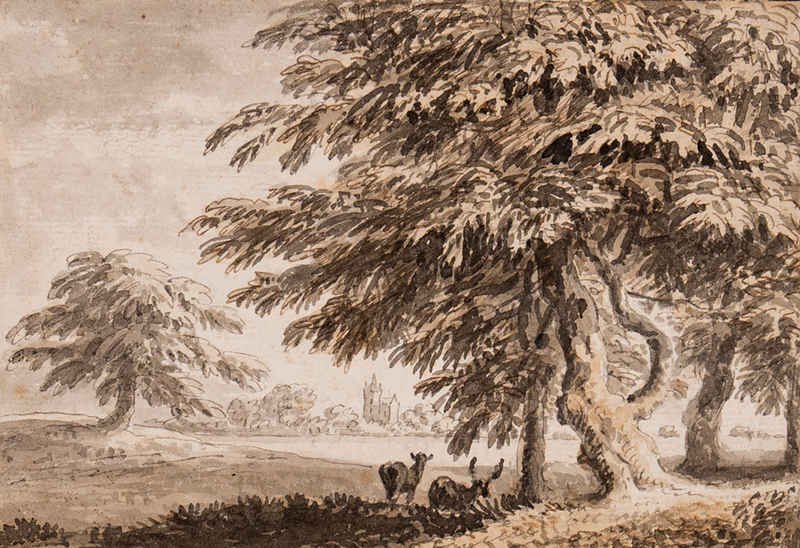 DEVIS Anthony (1729-1816) Deer taking the shade. Pen, brush and ink. 4.25x6.25 inches. DEVIS Anthony (1829-1816) Surrey. Albury Church. Pencil and ink. Prov: John Trower and by descent. 5.25x8 inches. DEVIS Anthony (1729-1816) Surrey. 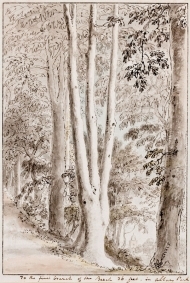 ‘The first branch of the Beech, 36 feet, in Albury Park’, Albury Church in the distance. Ink and watercolour. Prov: John Trower and by descent. Exh: Spink, 1984. 8x5.25 inches. 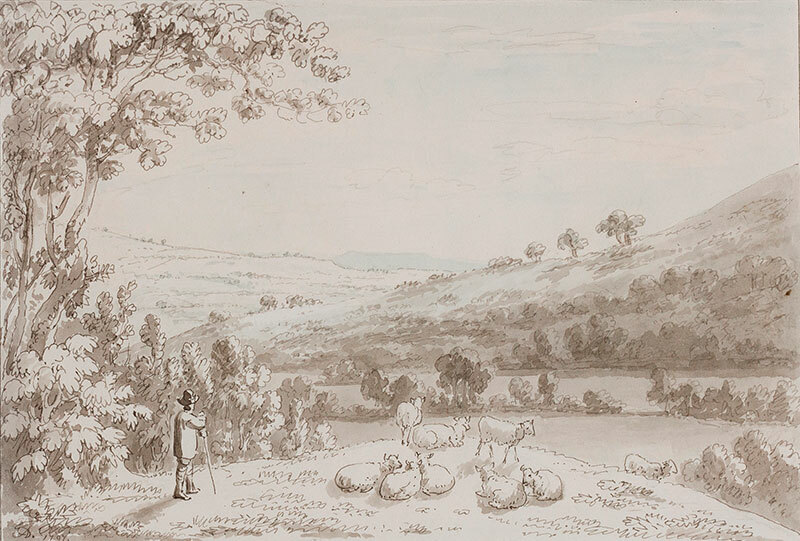 DEVIS Anthony (1729-1816) A Shepherd and his flock. Pen, ink and watercolour. 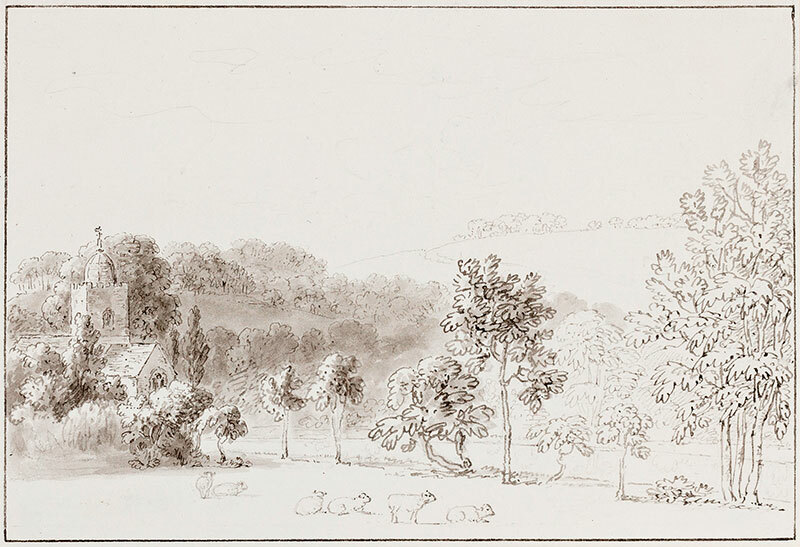 Signed and dated, 1797. 5.5 x7 inches. 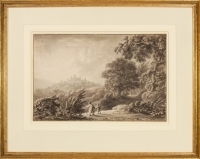 DEVIS Anthony (1729-1816) Surrey. Albury. ‘A view from Mr Devis’ garden. Tp Miss F Marris’. Ink and watercolour. Ex. Bradfer-Lawrence Collection. 5.25x15 inches. 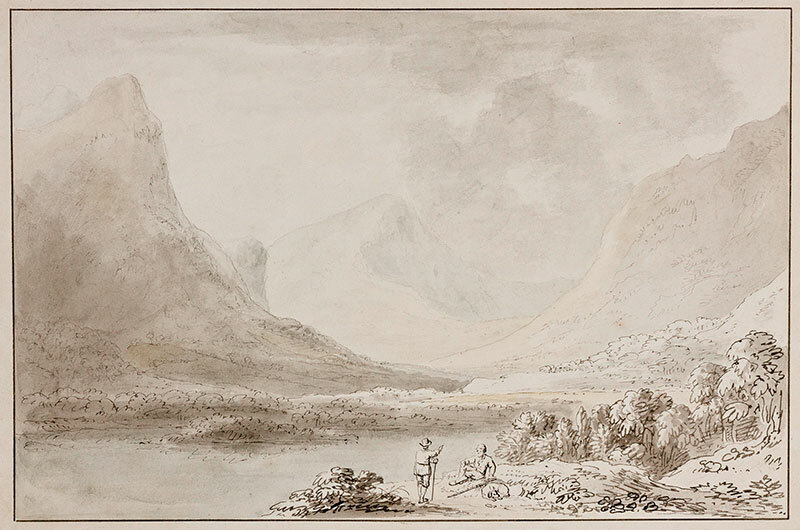 DEVIS Anthony (1729-1816) The Lake District: an artist coming ashore. Pen, brush, chalk, ink and watercolour. 12x17 inches. 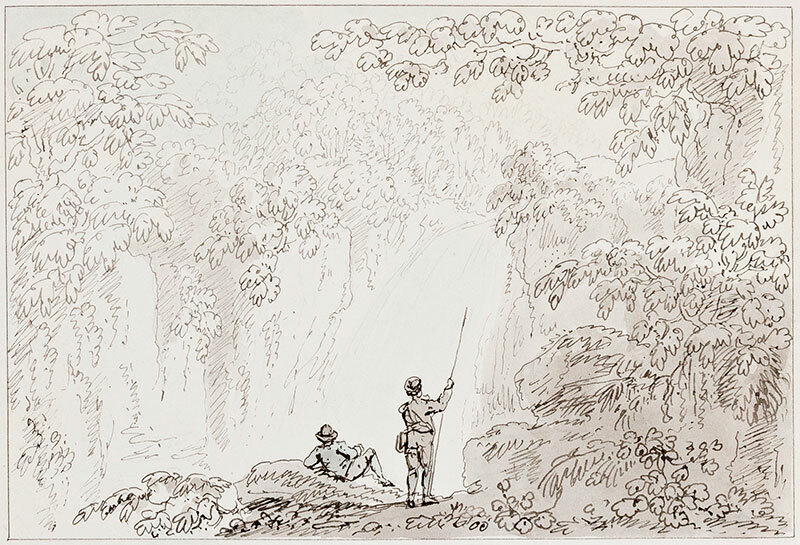 DEVIS Anthony (1729-1816) Picturesque waterfall. Ink and watercolour. Prov: John Trower and by descent. 5x8 inches. £375. 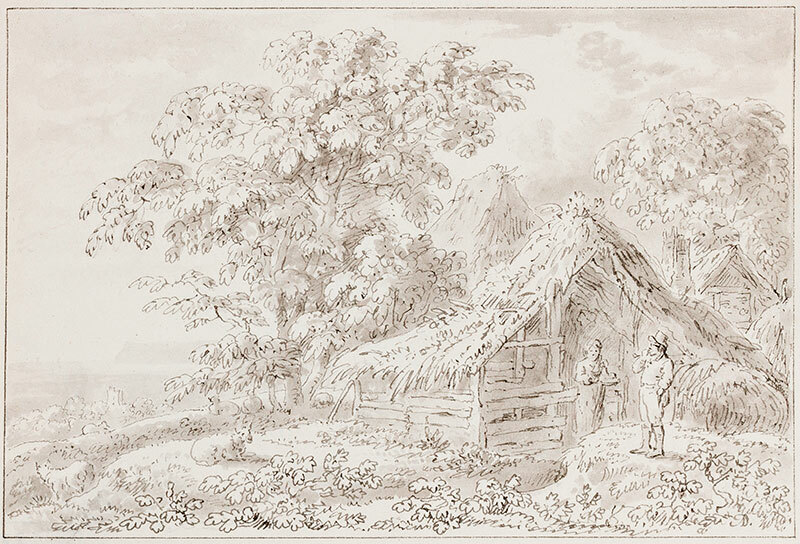 DEVIS Anthony (1729-1816) Rustic buildings. Ink. Signed. Prov: John Trower and by descent. 5.5x8 inches. 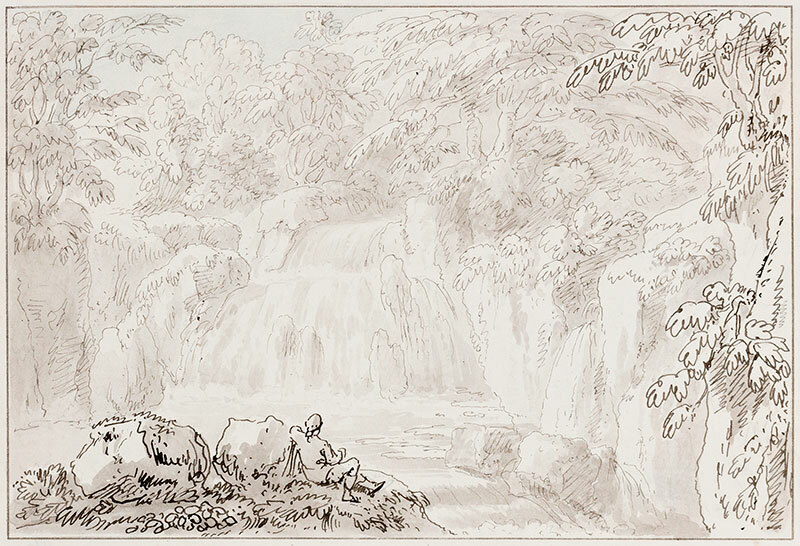 DEVIS Anthony (1729-1816) Picturesque cascade. Ink and watercolour. 5.5x8 inches. 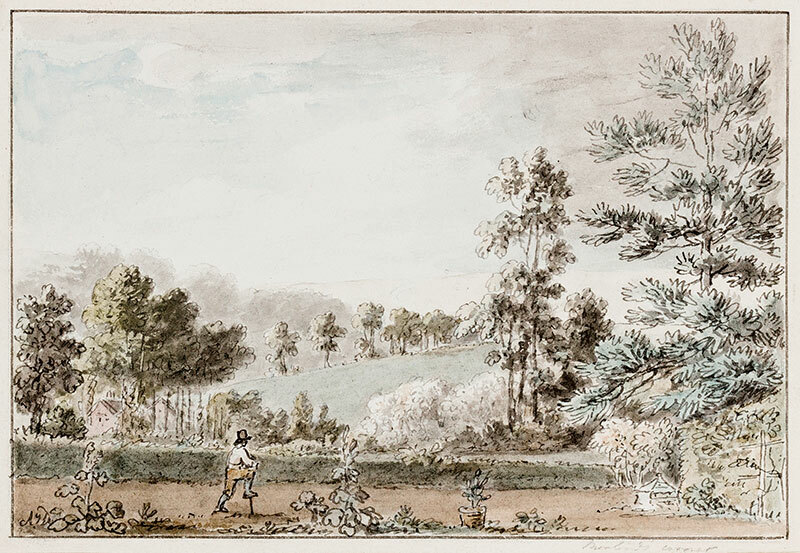 DEVIS Anthony (1729-1816) Sussex: ‘Near St Marthas’, Albury. Pen, brush, ink and watercolour. Signed. Inscribed beneath the mount, also ‘?The Chantry’. 5.25x8 inches. 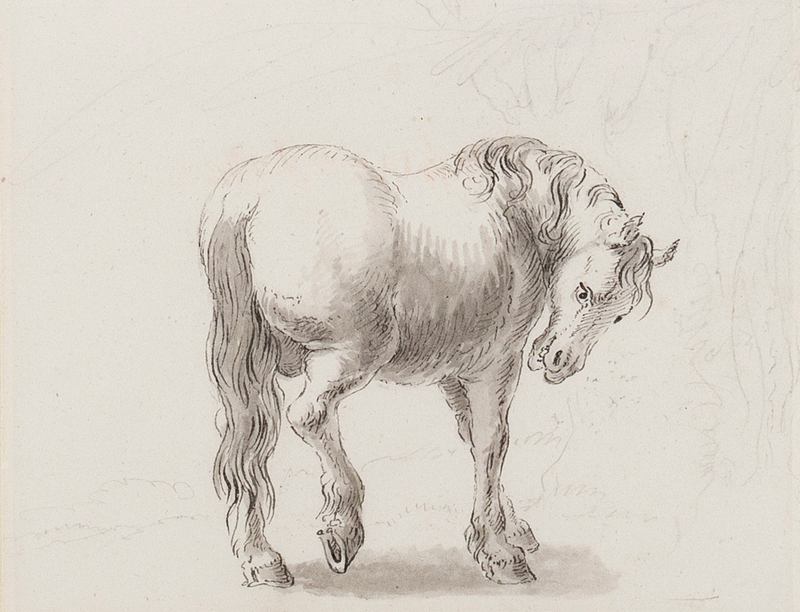 DEVIS Anthony (1729-1816) Study of a horse. Pen, brush and ink. 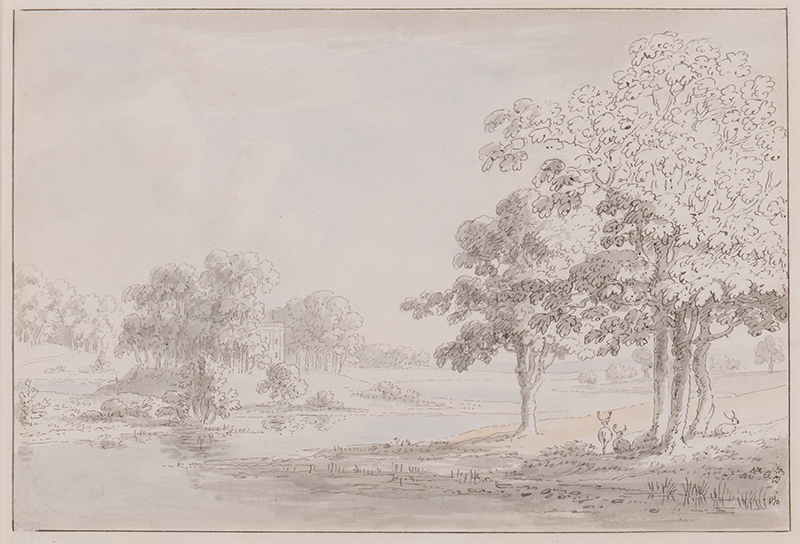 Exhibited: William Drummond / Covent Garden Gallery. 5x6.5 inches. 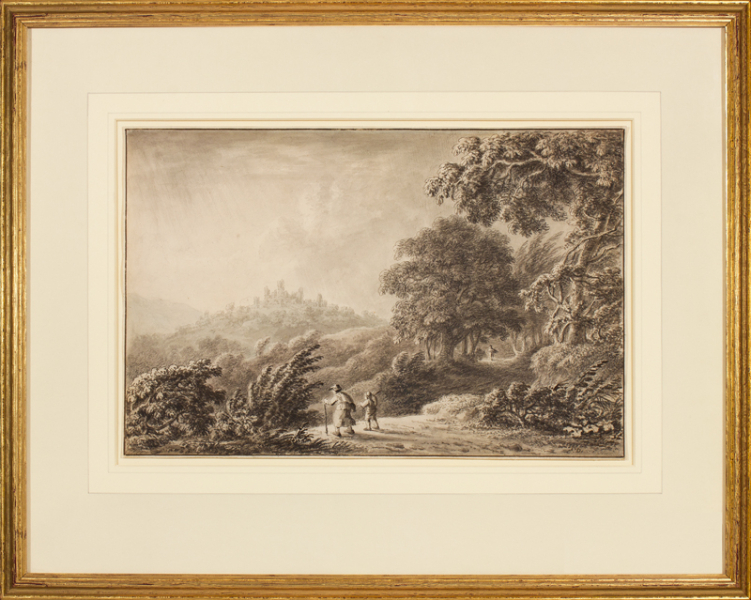 Framed: 11.25x12.5 inches. 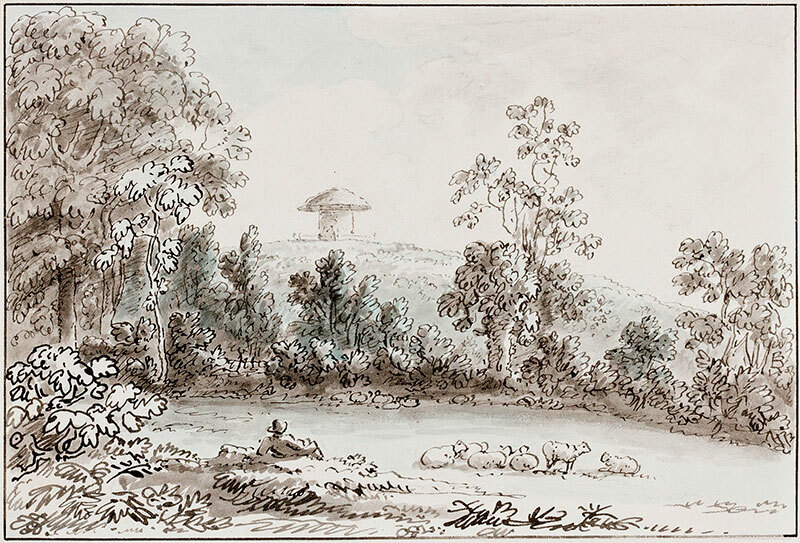 DEVIS Anthony (1729-1817) Capriccio landscape. Ink and chalk. 10x15 inches. Framed 18x23 inches. 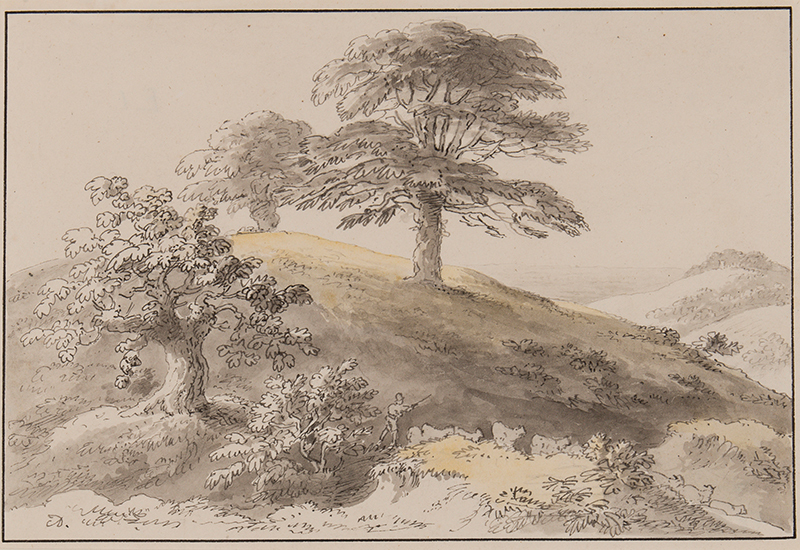 DEVIS Anthony (1729-1817) Cheshire. 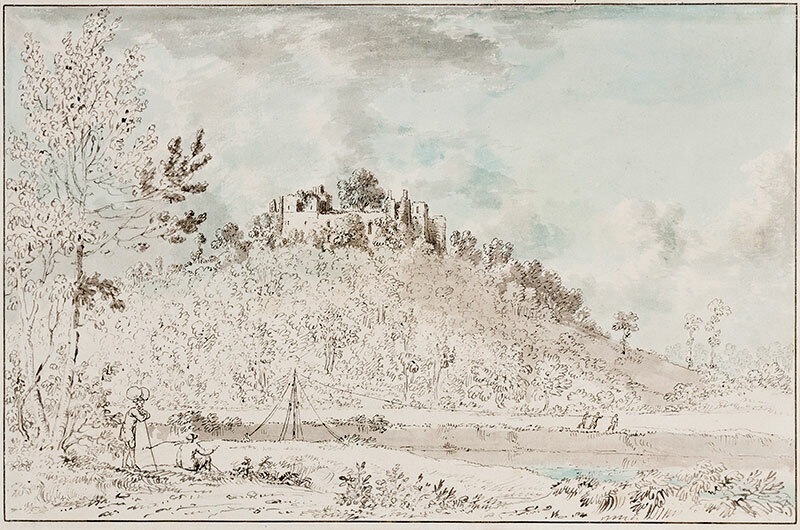 Hatton Castle. Ink, chalk and watercolour. Ex. Collection: Appleby Bros. 9x12.5 inches. 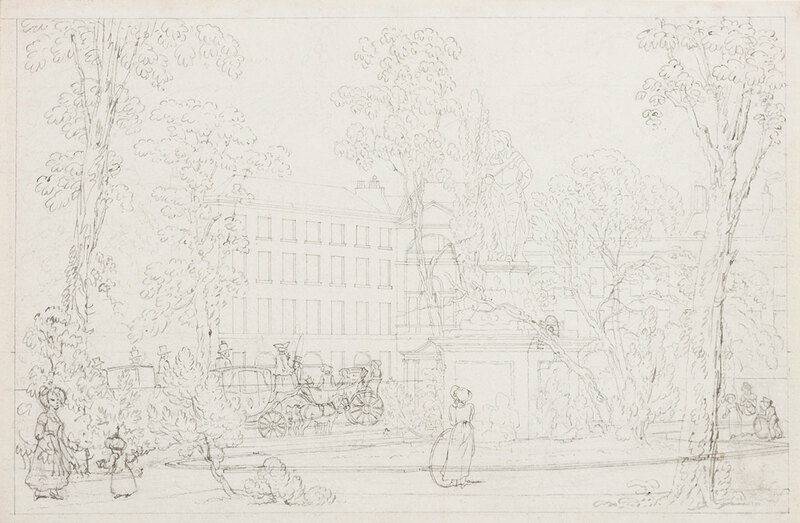 DEVIS Anthony (1729-1816) Soho Square and the Cibber statue of Charles II. Pen and ink. 5x8 inches. 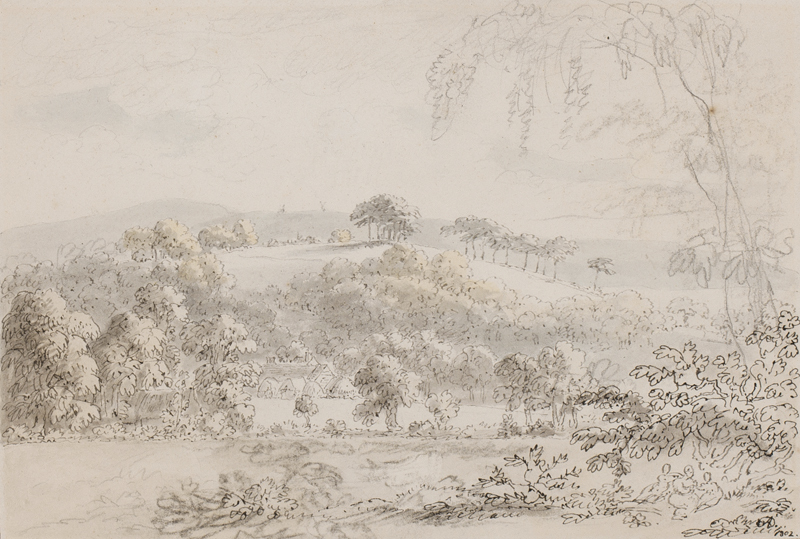 DEVIS Anthony (1729-1817) ‘Albury Park farm from the edge of Mr G wood’, Surrey. Pencil, pen, ink and wash. Signed, inscribed and dated 1802. 6.5x9 inches. Framed:13x15 inches. DEVIS Anthony (1729-1816) Surrey. Albury ‘Near Nash’s field’. Ink and watercolour. Inscribed to the backing by the artist. Prov: John Trower and by descent. 5.25x8 inches. DEVIS Anthony (1729-1816) Surrey. ‘G.Breys Chalk Pits’. Shere church spire in the trees. Ink and watercolour. Signed. Inscribed verso. Prov: John Trower and by descent. 5x8 inches.